After more than two years on the road and 200 sweat soaked performances since the release of their second LP "Sometimes Too Much Is Not Enough", this third LP certifies that the big combo from Barcelona can do whatever they please: either caress you or kick you in the stomach-or both. The steamroller rhythm section is one powerful structure pounding under searing guitars, roaring horns and all reigned over by the voice of Koko that claws at their hypnotic gyrations with wild abandon. 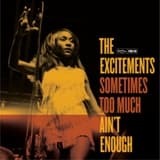 This new Excitements bag, as expected, is THE satisfier with high voltage rhythm and soul floor shakers and lease breakers-"Everything is Better Since You're Gone", "Fire", "Hold On Together"-ripping spear-hurling R & B - "Chicken Picking" "I'd Rather Feel The Pain", "Did I Let You Down", heartbreaking ballads and mid-tempos - "Breaking The Rule", and "Take It Back" and a pair of rhythmical postcards- a tribute to what once were the noisy streets of New Orleans ("Mojo Train") and restless nights in a Havana boarding house ("Four Loves").And do not, do not fear, inside this explosive cocktail of sonic chaos, a strange sweet harmony prevails through all and each of the grooves of the record. And as always, all wrapped up, signed, sealed and delivered with the elegantly filthy production of Mike Mariconda. Fifth single and 3th off their album "Sometimes Too Much Ain't Enough" on Penniman Records. Includes an exclusive B-side, a cover of Eddie Laings "Im Gonna Make You Eat Those Words". Produced by Mike Mariconda. 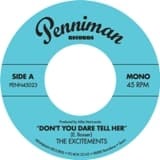 The Excitements' 45 of their 2nd album. One of the best songs off "Sometimes Too Much Ain't Enough" with a Phil Flowers cover on the flip. An incendiary cover of the Raelets -off their upcoming album- plus a touchy Redding/Covay influenced ballad on the flip. Produced by Mike Mariconda. "Sometimes Too Much Aint Enough", the second LP, surpasses its predecessor in all respects, and gives the impression that until now the band was just...warming up. The essence of their sound has not changed substantially over the debut: early Soul, R & B, and a hint of 50's gospel, but now fully developed, sharpened and fine tuned, thanks to two years of intense rehearsing and countless shows. It would be difficult to pick out a standout song from this album, because it contains twelve potential singles, so we won't. 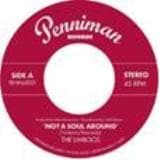 Just listen to it, and see that everything is here- great originals and covers arranged and performed with a nod to all that you love, and a repertoire that offers everything from sophisticated R & B, soul, gospel and latin, to Stax-style instrumentals and tear jerking, hypnotic ballads. 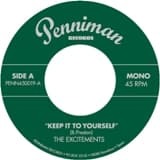 Their splendid first album, "The Excitements" -available on vinyl and CD-has been produced by the great Mike Mariconda -the only living man with a direct connection between his ears and his crotch. Hearing is believing, and Koko and her partners are bound to mesmerize with numbers such as Nathaniel Mayers "From Now On", Barbara Stephenss "Wait a Minute" and Little Richards "Never Let You Go", a track which will go straight to your heart. You may call them old-fashioned. A classic sound, if you wish. One thing is clear: the good stuff is here to stay. The Excitements are what the doctor ordered: six dynamite musicians intent on bringing out the very best from Koko Jean Davis extraordinary voice, a voice which will either break your heart or astonish your ears, whatever Koko fancies the most. 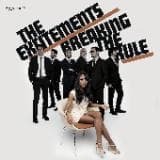 Here's the first single taken off the Excitements' killer third album 'Breaking The Rule', with the exclusive flip 'I'll Be Waiting'. New single off their debut album "Space Mambo" with a non-LP exclusive cut on the flip.Produced my Mike Mariconda. Only three years have passed since the exotic adventure of The Limboos got under way, but the great stir they have caused up and down the continent has already put them in the limelight as one of the most solid and hottest bands on the current music scene. The critics have catalogued them as one of the freshest and most original proposals you can see anywhere on stage. The band slightly modified its line-up in late 2015 and is now a quintet including baritone sax and double bass. Heres their new appetizer for the long-awaited second LP. Two sides, two numbers, one for each aspect of their personal sound: I Need Your Lovin' is an upbeat R&B number that will have the dance floors jumping, while I'm A Fool is a mid-tempo offering in which the group leans in masterly fashion towards the sounds of soul and blue beat. 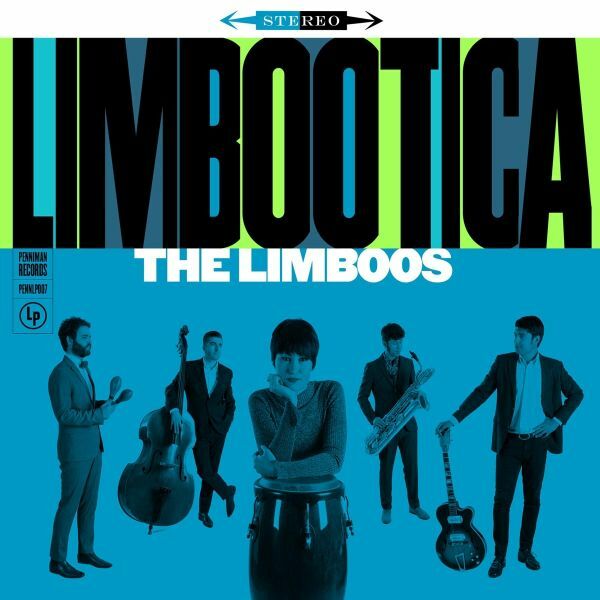 This is the second album by The Limboos, "Limbootica!" where the band continues its journey to the heart of the rhythm, a journey to the center of the best roots music, investigating and growing at every turn of the road.Produced by Mike Mariconda. 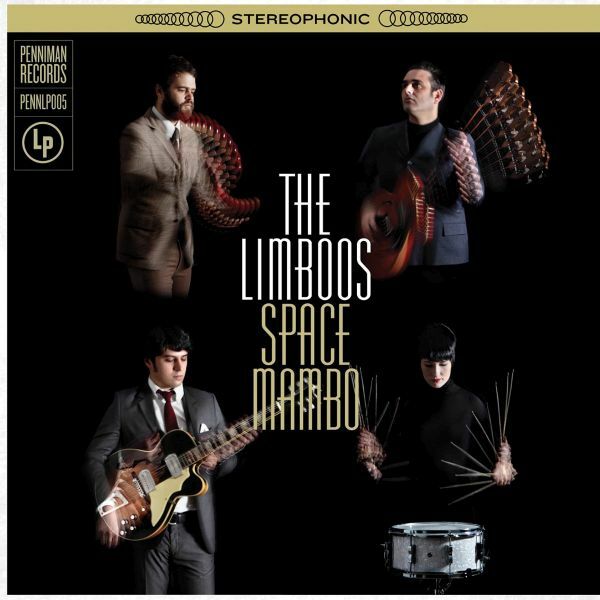 The Limboos were born in 2012 with the humble intention to give some color to R&R scene of their adopted city, Madrid. Mission accomplished. Their sound, aptly described as "Exotic Rhythm and Blues", is a reflection of their obsession with the best black music of the 50s and a passion and exuberance for the development of the rich exotic flavors from countries with low or no democratic tradition. While it all sounds like fun, their songs and live shows are a serious matter to be reckoned with.For this single - their debut recording, the group has chosen to present a slab of greasy R & B on the A side. 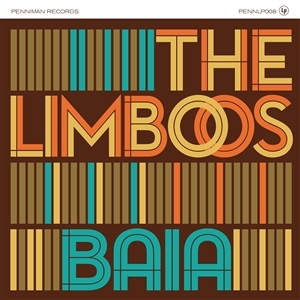 This is coupled with a B side instrumental that could only be described as "Intergalactic Cubanismo" and very well might shock Mickey Baker and leave him fleeing for his rocket ship to escape to Havana. Produced by Mike Mariconda. On this album, their first LP, they sharpen and expand on the sound defined on their 45 RPM single debut- that mixture of R&B and Latin rhythms, aptly described as "exotic Rhythm and Blues", continues to prevail. 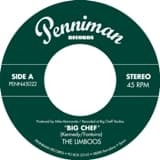 But the twelve songs on the LP stretch out into deeper territory- old school New Orleans second line (the single from the album, "Big Chef") or gutbucket 50s Texas Blues ("Rockin'") combined with Cuban rhythms ("Space Mambo", the title track) or Brazilian Cumbia ("Brownie"). All beautifully thrown into a blender, making it the national cocktail of a place you would damn sure want to live, if that place even existed. Talent, attitude and energy- these are the three ingredients that define The Limboos to perfection. Above all, they are elegant and adept at any language they speak. Coupled with the profound production of Mike Mariconda, "Space Mambo" is noticeably fresh in comparison with much of todays music and a unique listening sensation! an Authentic 70s USA Proto-Punk Gem. 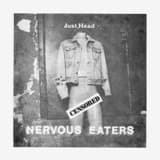 The Nervous Eaters were one of the key groups which formed part of the rich Boston Rock & Roll scene at the end of the 70s along with Real Kids, DMZ, etc. Here at last we have what will be for many the long awaited reissue of their second single, originally released on the Rat Records label back in 1979. 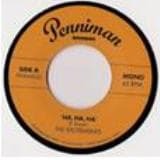 Recorded in 1975, at the same sessions as their first single "Loretta", this 45 was their last release for an independent label - the following year they signed up for Warner. Both songs still conserve the class and bad attitude that saw them included in the best Punk Rock compilations or in cover versions by many of our favorite bands of the recent years. Official reissue of their debut single. Brought out by Rat Records in 1976 and laid down in the same session as "Just Head" and "Get Stuffed", this record -thanks to the huge airplay it got- put The Eaters really on the map. Recorded as a trio, still without their second guitarrist Stanley Clark (even though he gets onto the cover and credits), Cataldo and Co show all the elements that would be the trade mark of the group: great songs, their love of classic rocknroll and a hard to find raw simplicity, all in all a class act. 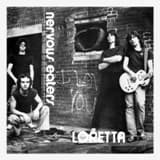 "Loretta" is, as well as being a great song, the track that would be used to open their self-titled debut LP four years later. This is the song that people identify the group with, a big favorite with their numerous fans and a true gem of the Boston Rock Scene. The record comes with the original sleeve and both tracks, including its cool stonesy B side "Rock with me", have been remastered to give you a full satisfying sound. 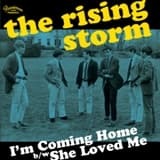 Two classic cuts by one of America's ultimate cult garage/folk-rock bands from the '60s, The Rising Storm. Both tracks ('I'm Coming Home' and 'She Loved Me') also appeared on the band's legendary 1967 album 'Calm Before...' Featuring remastered sound, a beautiful cardboard sleeve with rare photos and liner notes by Greg Prevost, this is the only 45 ever released of the Rising Storm's music.